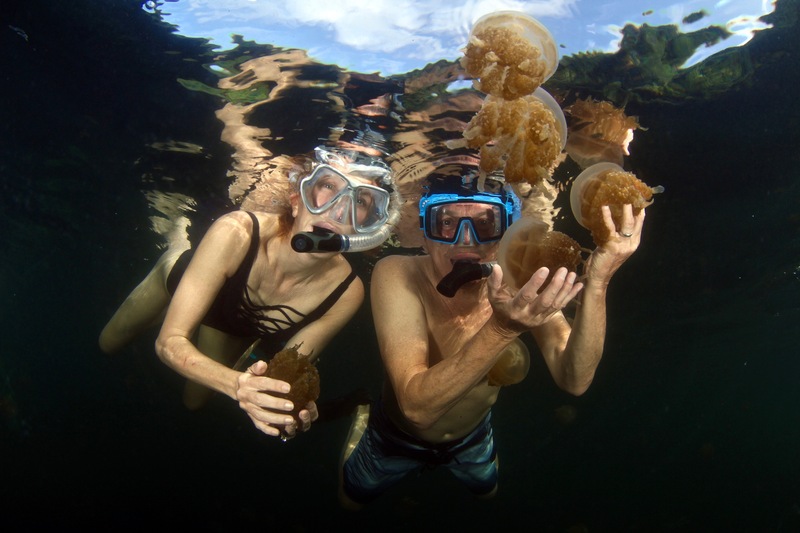 Jellyfish Lake in Palau - Where are Sue & Mike? 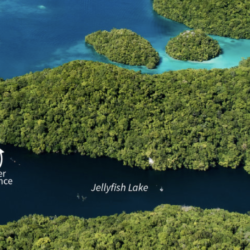 Located on an uninhabited rock island off the coast of Koror in Palau, Jellyfish Lake is a saltwater lake that was once connected to the ocean, but is now cut off. 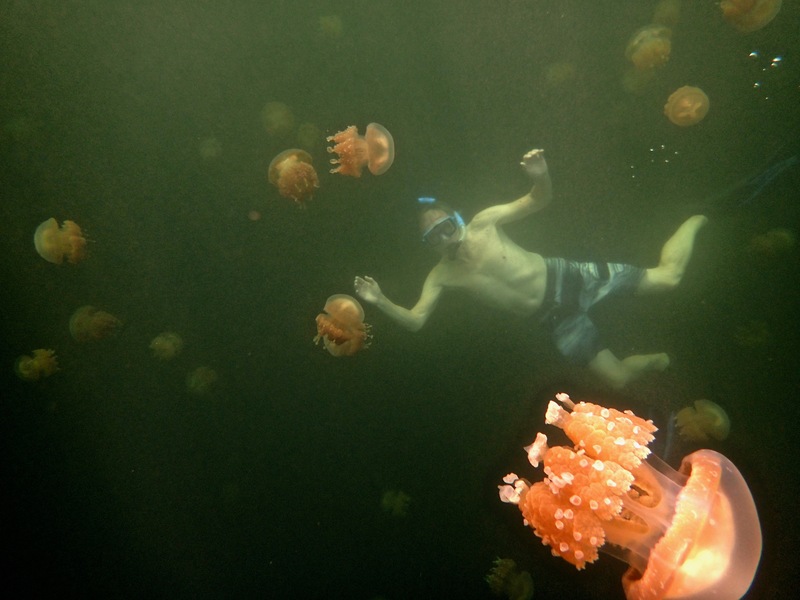 The isolated lake became the perfect setting for a jellyfish explosion! 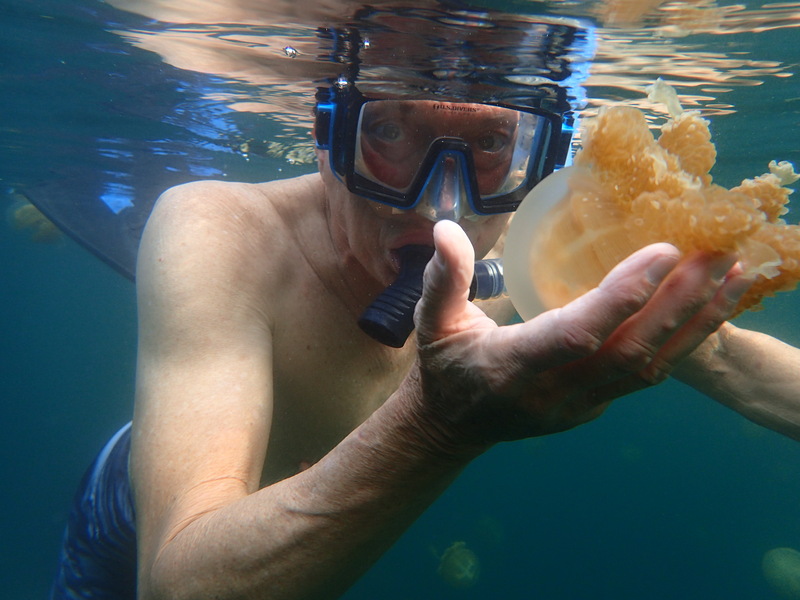 Marine biologists speculate the jellyfish were trapped in the lake 12,000 years ago after a rise in sea levels post-Ice Age. 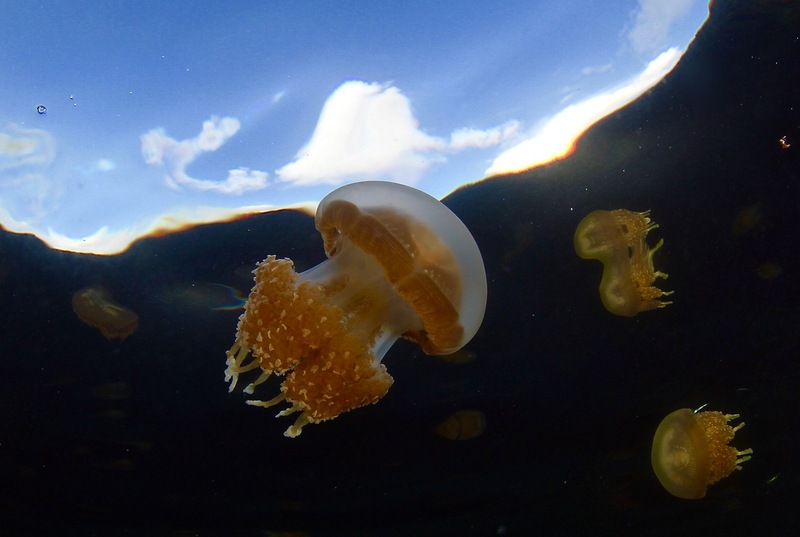 The jellyfish evolved to have almost no stingers, because they have no natural predators present. The lake is about the size of ten football fields. 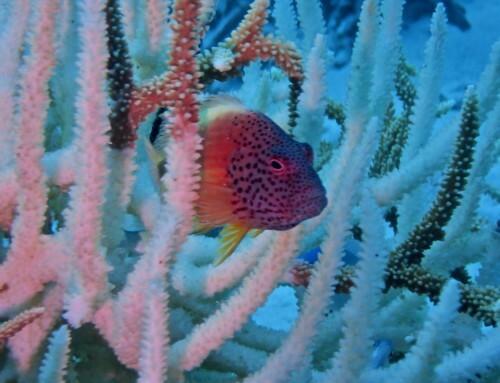 It’s completely isolated from other bodies of water. 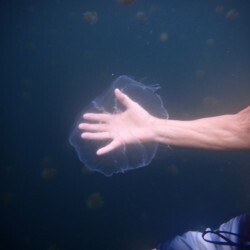 Holding jellyfish is a strange sensation. They’re very delicate and wobbly. 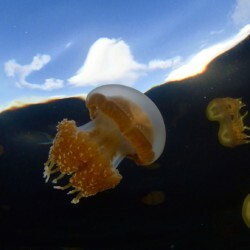 The jellyfish do have stingers, but they are too small to be felt by humans. We had strict instructions to keep the lake pristine. No sunscreen or any other products on hair or skin. 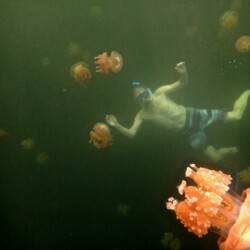 Mike freediving with the jellies. 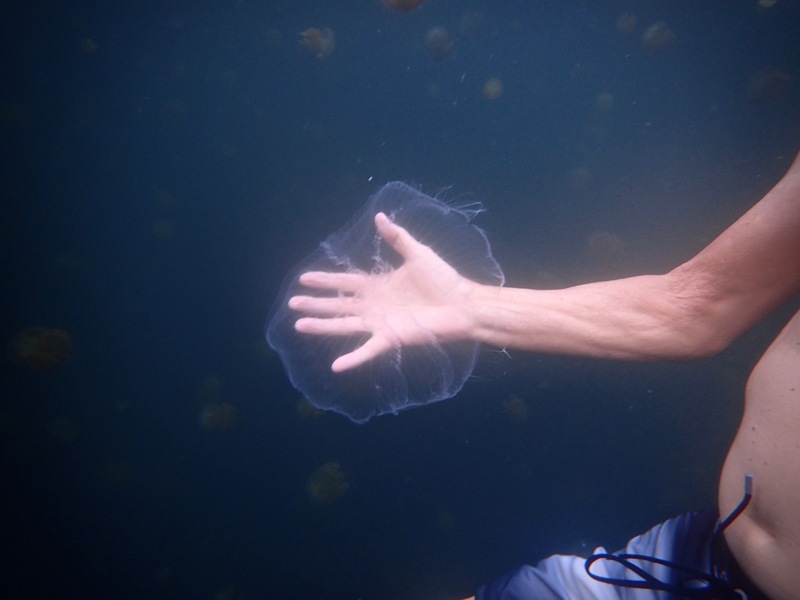 No SCUBA is allowed here, because the jellyfish are too delicate. How surreal to hold a living thing in your hand that you can see THROUGH.